Alice in Wonderland Labyrinth Brain Teaser | Can you decisively navigate the labyrinth? Can you decisively navigate the labyrinth? Can you find the one point of weakness? The point where the pieces will come apart? Put your head down and solve the mystery! Can you help Alice escape from the labyrinth by taking the interlocking pieces apart? The aim of this puzzle is to remove one circular piece of the puzzle from the other. It sounds easy but it's a brain twister! 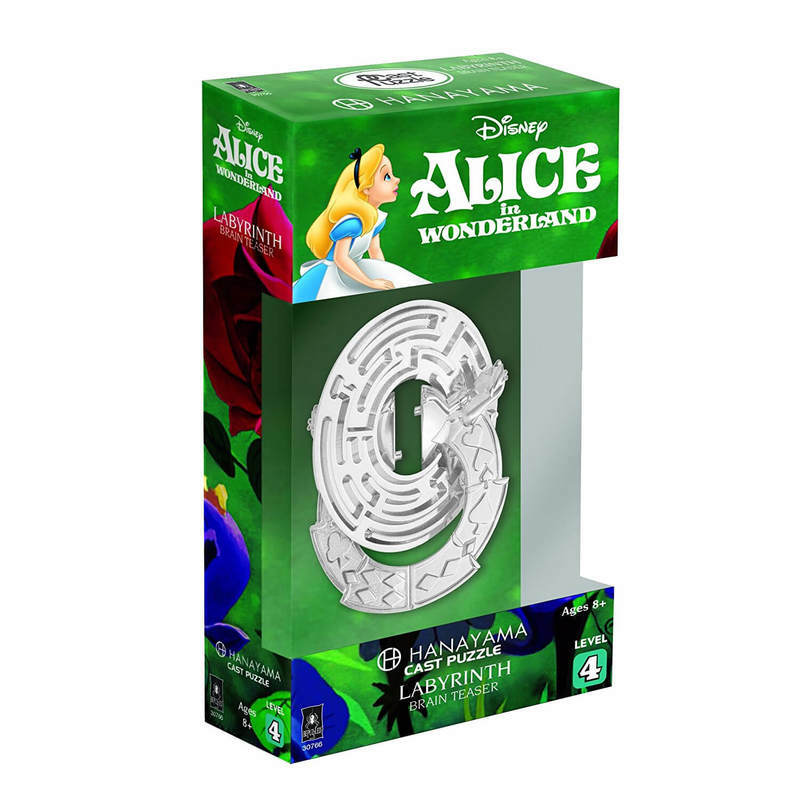 A great gift for anyone up for a challenge, the Alice in Wonderland Labyrinth Brain Teaser will have you scratching your head for hours! Once you've solved it, try putting the pieces back together again to test your skills even further! Mensa-Rated Difficulty Level: 4 out of 6 (considered challenging by most experienced puzzlers).